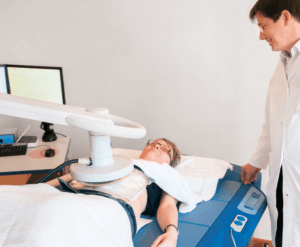 Treatment with hyperthermia involves the targeted temperature elevation of the entire body or individual body parts. Through the «heat stress» generated through hyperthermia, cancer cells become more sensitive to the body’s own break down processes during radiation or chemotherapy. However, the objective of hyperthermic processes is not the direct destruction of cancer cells through heat. At the Center for Integrative Oncology, we provide moderate whole-body hyperthermia and passive local deep tissue hyperthermia. Another process is active fever therapy. For more information on this process, please see the flyer «Mistletoe Therapy». Our center is a founding member of the Swiss Hyperthermia Network. All members of this network must operate according to the quality standards established by the European Society for Hyperthermic Oncology (ESHO). A healthy body reacts to many irritants with temperature elevations up to a high fever. Consequently, artificial elevation of body temperature can also stimulate inhibited self-healing forces in chronic and pathological diseases in a sustainable manner. In moderate whole-body hyperthermia, heat is supplied via infrared radiation with a large component of water-filtered infrared A radiation. This radiation penetrates so deeply into the tissues and subcutaneous layers, that the heat released thereby is absorbed by the blood and distributed throughout the body. This occurs via consistent, uniform radiation that is not harmful to the skin. Hyperthermia in association with chemotherapy: improved distribution of cytostatic medication. 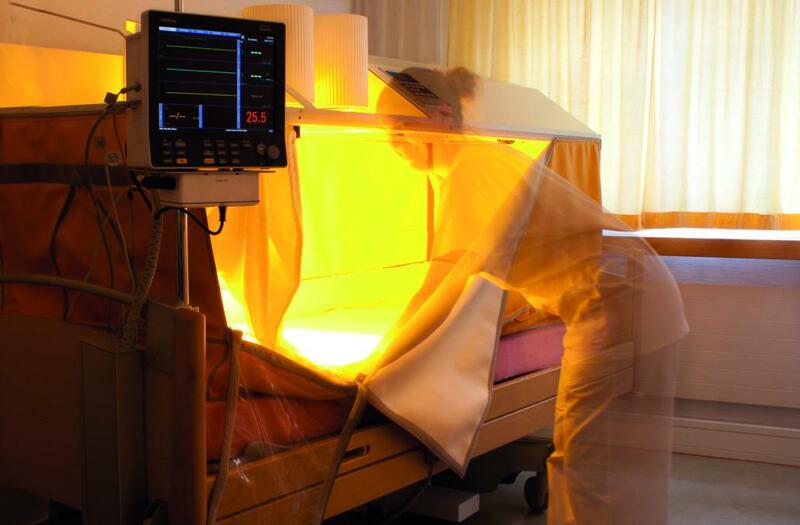 Through hyperthermic treatment, the radiated body tissue warms up. Blood vessels dilate and this results in increased perfusion of the tumor. In this way, even sections of a tumor that were originally poorly perfused receive a greater amount of chemotherapy medication. This can improve their effect on cancer cells that would not respond well to treatment under normal temperature conditions, for example, cancer cells that are located deep within a large tumor. Cancer cells also absorb more cytostatic medication during hyperthermic treatment due to their accelerated metabolism. Additionally, hyperthermia also damages the cancer cells’ own repair mechanism. In long-term and/or repeated treatment with hyperthermia, body cells build so-called heat shock proteins, also referred to as «stress proteins». These proteins signal the body’s own defense mechanisms and activate so-called «killer cells», that are responsible for the destruction of cancer cells. Tumors often evidence less structured vasculature than healthy body tissue. Furthermore, in some tumors, blood vessel development sometimes cannot keep up with the fast growth of cancer cells. As a result, tumors often contain areas that are not well supplied with oxygen. Cancer cells in these areas are generally less responsive to radiation therapy, but, in comparison, are sensitive to hyperthermia. The objective in combining hyperthermia with radiation therapy is to reach those cells that survive radiation therapy and to damage them through heat instead. The effects of both therapies complement/supplement one another. Additionally, since hyperthermia increases perfusion, the oxygen supply of cancer tissue is also increased. With radiation therapy, this creates more so-called «free radicals» that can damage cancer cells. Another result is that cellular repair mechanisms falter under high temperatures: cancer cells can no longer compensate, or compensate only on a limited basis, for the damage done to them by radiation and free radicals and thus perish. With local deep tissue hyperthermia, localized and regional tumors can be treated. This procedure involves short-wave radiation for a duration of 50 minutes, which generates a temperature of 42 to 44 degrees Celsius. This heat triggers various reactions in cancer cells that can lead to their demise. Healthy tissue is not harmed in this process. Patients are treated in a therapy bed that is equipped with surface tiles and a tile electrode. The tile electrode and other electrodes are positioned to the area of the body to be treated. The part of the body between the two electrodes receives radio waves with a frequency of 13.56 megahertz. 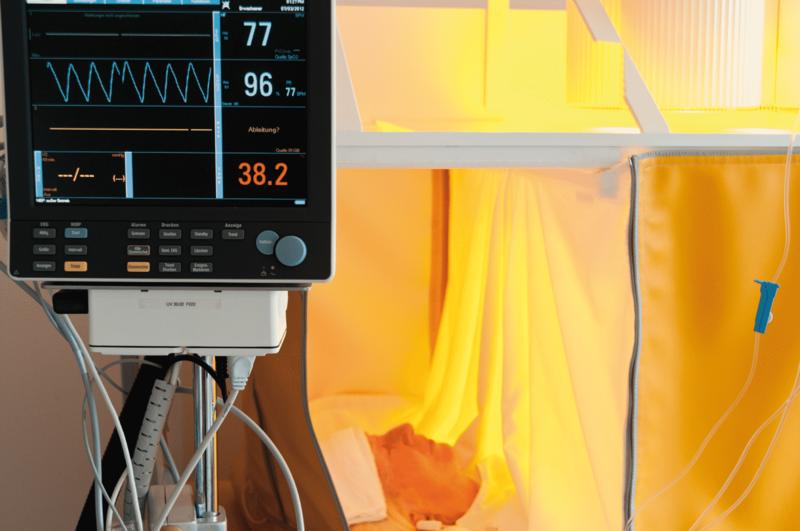 Before and during treatment, various settings can be defined, controlled, and changed via a display screen. 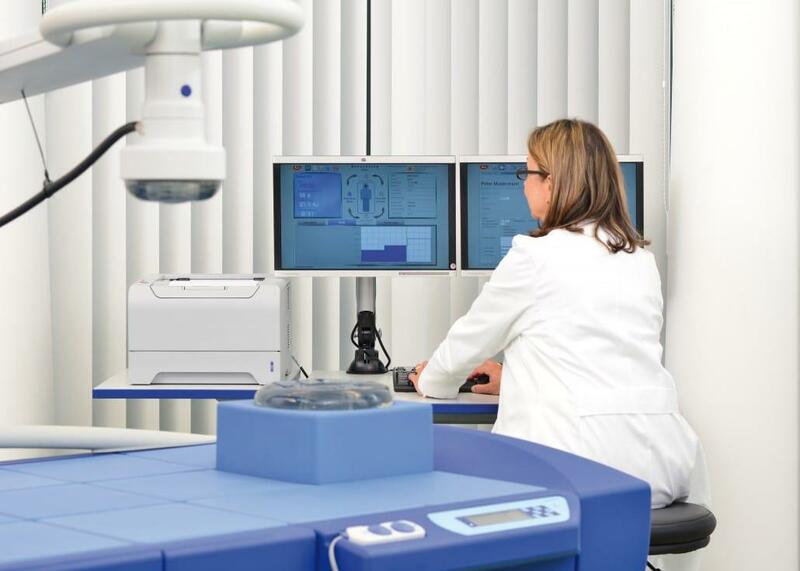 Additionally, a computer continually monitors all safety-related parameters during treatment and ensures detailed documentation of the procedure. The treatment can be interrupted at any time by the patient. In contrast to surgery, chemotherapy, and radiation therapy, hyperthermia has almost no side effects. You may even feel very comfortable during treatment. In rare cases, a tumor located in close proximity to a hip or knee replacement may be more difficult to treat. Patients who suffer from a disorder in temperature perception may only be treated with specialized monitoring. Unfortunately, patients with a cardiac pacemaker or other pacemaker electrodes cannot undergo local deep tissue hyperthermia. When is whole-body hyperthermia applied? How is the treatment conducted? Heat maintenance phase of approx. 120 minutes during which maximum body temperature is to be sustained. Release phase, in which body temperature normalizes again. Don’t hesitate to contact our team. We will gladly provide you with information.